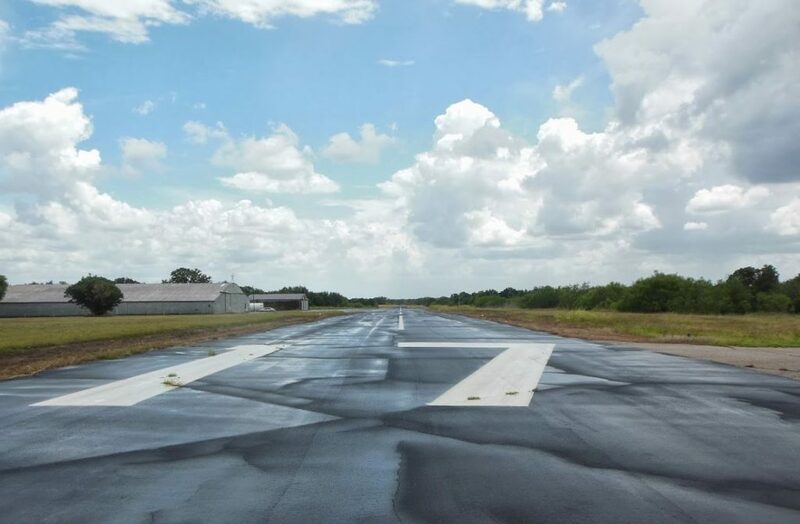 Rockdate Tiger Flight is building an RV-6 airplane at Rockdale’s H H Coffield Regional Airport (KRCK). Have an airplane and need for an excuse to fly? Come see us! We might even stick a few kids into your airplane for a ride! We don’t have an AWOS / ASOS, so check out that windsock mid-field before setting up for a pattern. 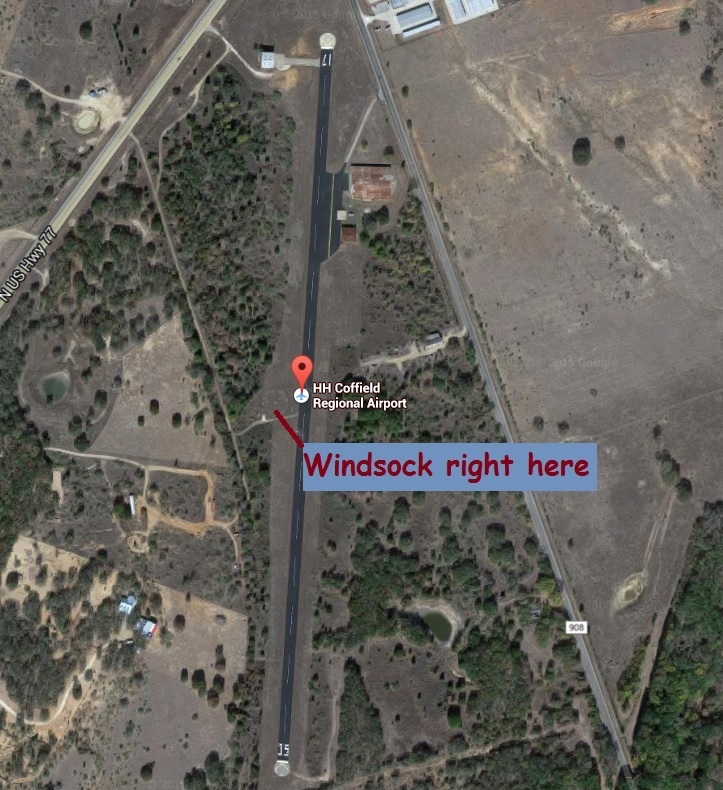 Windsock is sometimes hard to spot, check out the satellite image below. Set up for a low approach and do a low pass before landing, our kids love that! After landing, pull up to the main ramp, and we’re in the biggest hangar right on the ramp. You’ll have to taxi back unless you’re landing on 35. The easiest way to find us is to take Highway 79 to Rockdale. If coming from the West, enter Rockdale and turn right onto FM908 / Main St. Heading from the East, turn left onto FM908 / Oak St. 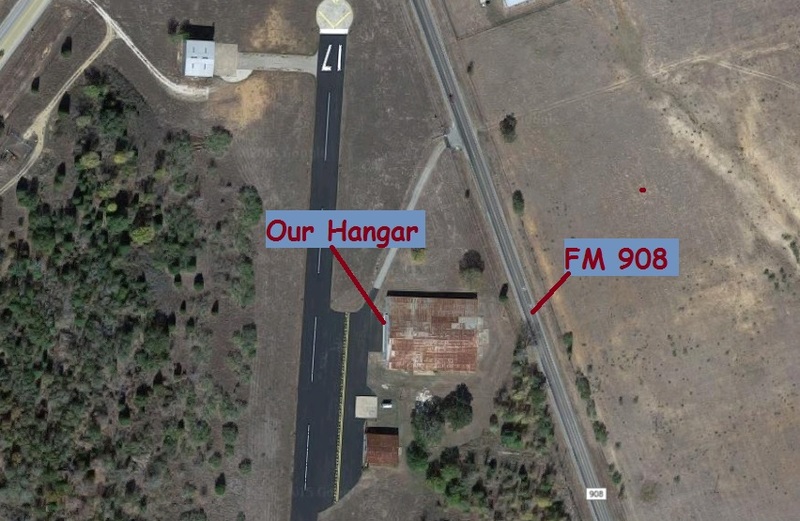 Follow FM908 until US HWY 77, and take the next right after the intersection onto the airport driveway. 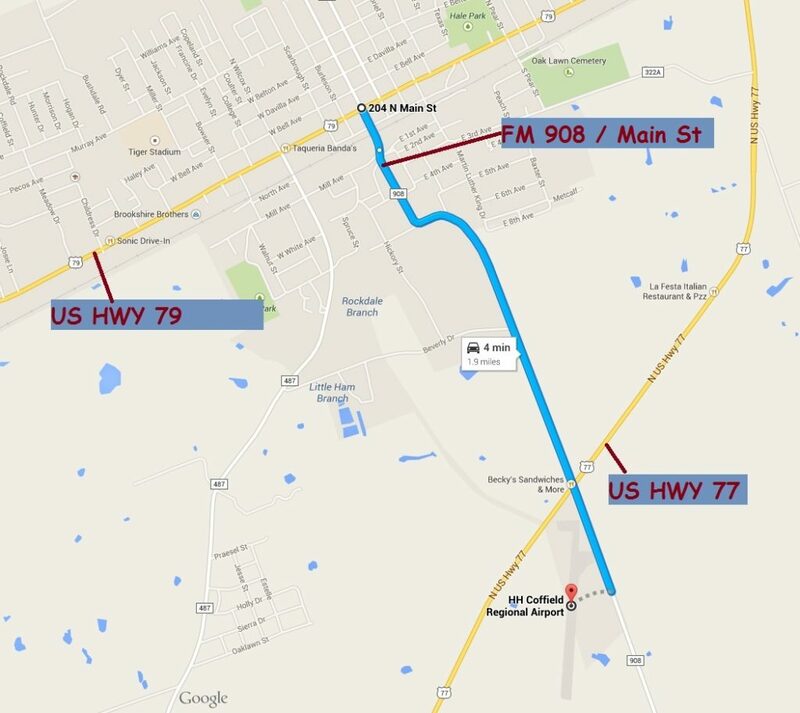 If coming from the South or North and taking Highway 77, turn South on FM908 and right onto the airport driveway. You can click on the maps to enlarge them below.